Sana & Safinaz — the name of modern fashion. The brand tossed their first women wear collection in 1989. These two fashion ladies are known for decades in the line of fashion and fine elegant clothing for trendy women. In every season, they come up with something elegant and new. 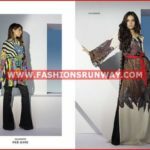 Lawn, silk, khaddar, chiffon or whatever the fabric is, they have manifest their position on top of above with the quality and uniqueness. They also introduced their first ever bridal collection that is extreme delicate and designed according to the needs of today’s women. Women all over the world loves to get dressed so that they could look and feel equally confident. 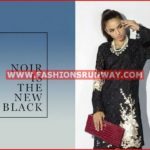 Due to the global culture in fashion world women around the globe now know every brand of Pakistan and they want Eastern dresses to wear like eastern women. Even before the start of holy month of Ramadan, women in Pakistan starts to look upon on something delightful and amazing to wear at the holy occasion of EID. And this is a time when all the brands are of the view to give them something a unique to differentiate from others. Sana & Safina just has launched their ‘Luxurious formal Eid wear’ collection for 2016 for trendy women out there. The collection contains outfits that are already stitched and some are unstitched embroidered and designed with beautiful patterns and colour schemes. If I say this is an era of embroidery than that would not be wrong. So the 99% of the dresses are embroidered and designed in such a way to look beautiful at both occasions formal or informal. 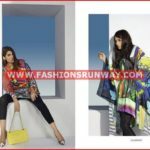 There are neck line embroidery, border patches, chiffon sleeves and chiffon dupatta and you can get them stitched according your own demand either in shalwar kameez, tulip pants, straight pants etc. EID is in summers, so obviously EID collection is based on fine quality lawn and thin chiffon fabric. And the colour scheme is also according to summers i.e. light and soothing colours that will make you look refreshing and enchanting and not very much bright to give irritating sight to others. 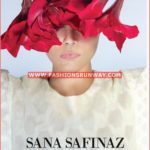 Run to your nearest Sana & Safinaz brand outlet and grab your Eid dress before it’s too late and we run out of the stock because since the collection is already out and women out there are getting out of hand to get best latest design before anyone else.